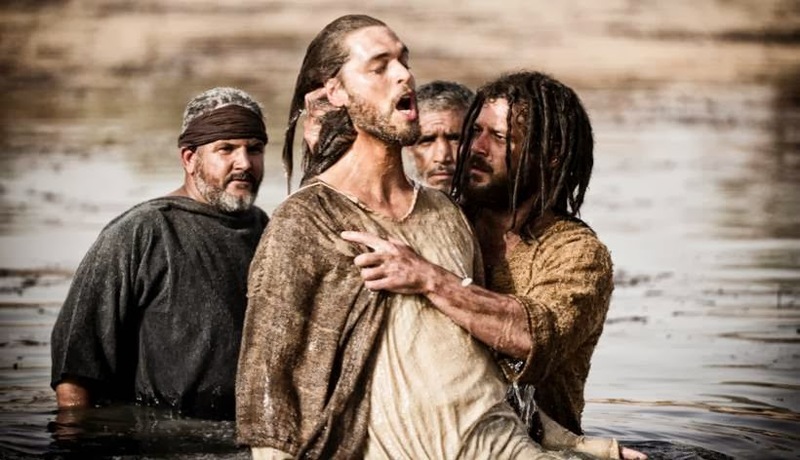 Move over The Passion of the Christ – there’s a new Jesus movie in town. This February, nearly ten years to the day since the release of Mel Gibson’s landmark film, a new movie about the life of Jesus is hitting theaters nationwide. The film, Son of God, is the grand finale to the highly acclaimed History Channel series The Bible, and I must say, it’s pretty solid. Clocking in at just over two hours, Son of God portrays the life of Jesus as told in the book of John (with help from the other Gospels). Overall, it is a powerful film, though no one will mistake it as an artistic masterpiece. If you’re looking for an Oscar frontrunner, look elsewhere. 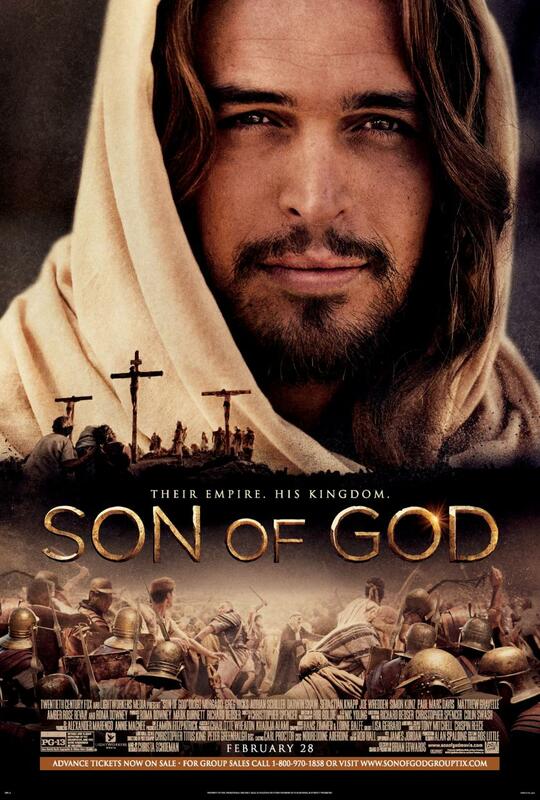 Son of God was created from footage shot for The Bible, and it never fully shakes its made-for-TV roots. As a “major motion picture”, I give it a 6/10. It is a good movie, though it features unspectacular production, pacing, acting, editing and special effects. 1. If you love Jesus and want to see His life played out on the big screen, Son of God is perfect. In my estimation, the film (based upon the NIV and NRSV translations) is roughly 85-90% accurate. As with most Biblical movies, there are moments where you might think to yourself “Wait a second – that’s not right!”, but those moments are few and far between. Son of God has moments that aren’t ALL brown and sandy. 3. If you avoided The Passion of the Christ because of the violence and wish you could’ve seen it sans gore, Son of God is the answer. Though it also delivers a bloody crucifixion and a few scenes of violence, they hardly approach those in the R-rated Passion. I love that John the Baptist has dreads. The film is very moving; I heard people sniffling all around me as things drew near the Crucifixion. The intro is pretty cool. “In the beginning was the Word, and the Word was with God, and the Word was God….” That speech happens over a thundering score from Hans Zimmer and an incredible montage of events leading to Jesus. I have goosebumps just thinking about it. Hands raised. Jesus’ story is everything to us Christians, and it was touching to see people raising hands in joy upon Mary’s discovery of the empty tomb. More goosebumps. John the Baptist has dreadlocks. I found that humorous. In the end, I recommend Son of God. It isn’t a motion picture masterpiece, but as a Jesus movie, it is right on the money. See it. Note: A more formal version of this review was published in the Christian Chronicle. Check it out here. Also, check out my take on my first advance screening! 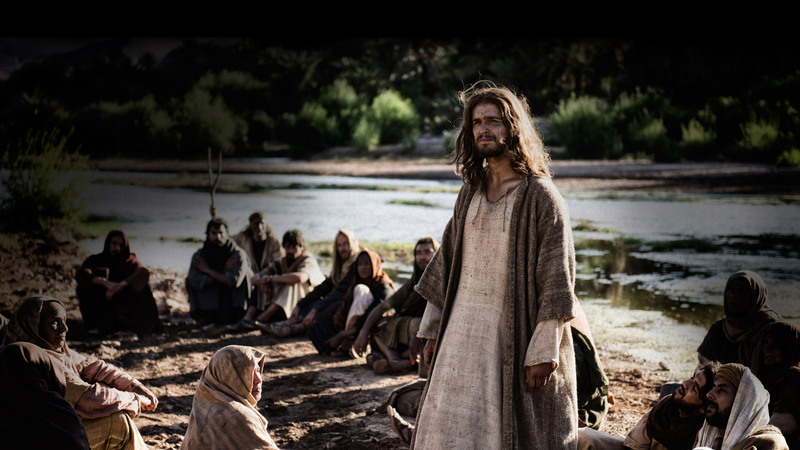 And, check out my interview with “Son of God” producer, Mark Burnett. Grant Stevens is a freelance writer who has written for the Christian Chronicle and who actively maintains his personal blog which covers movies, sports, movies, books, movies…. He also likes hamburgers. And music!